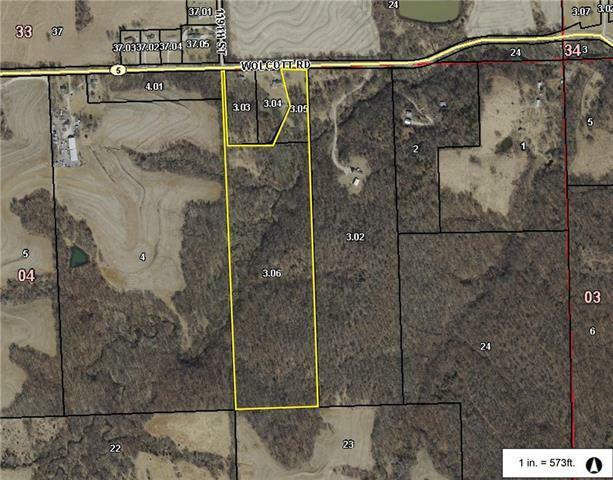 WOODED 34 ACRES WITH CREEK! Property consists of 2 parcels, both have access to Wolcott Rd! Great location to nestle your future dream home back in the woods! Located in Lansing school district! Close to Legends or Zona Rosa. Don't have a builder? Let us build your dream home for you! Listing courtesy of Lynch Real Estate.